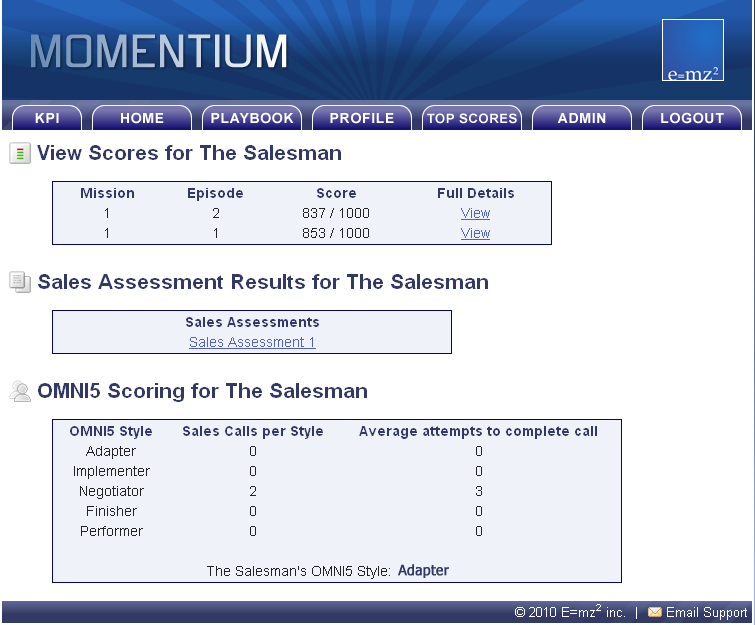 Momentium improves sales performance consistently over time. Traditional sales training is sporadic and event-based. Salespeople are sent out to training events, drink from a fire hose of new skills, and return to the office hoping to be able to apply those skills into their sales calls. In reality, almost 90% of that content is completely forgotten within 30 days, leaving salespeople with the same bad habits and behaviors that they started out with. Helping sales managers benchmark and track the KPI’s of their salespeople. Most content is forgotten quickly – within 30 days. Requires scheduling, travel, and logistical headaches, which are costly and time-consuming for everyone. It’s impossible to track or measure how effective the training was, or if your salespeople even remembered anything. Lacks tools for sales managers to coach to what has been learned in the field. Everything your salespeople learn is retained and put into practice consistently. Training can take place anytime and anywhere, which removes all the hassle usually associated with sales training. You can implement one training solution across the entire sales department, and are able to track your entire team’s performance and progress. Success Coaching Materials for each mission for the sales managers to coach for performance and growth. 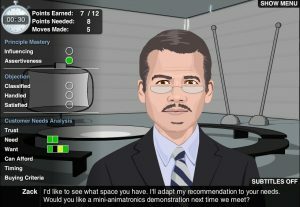 The Coaching Academy contains short, interactive, and focused lessons that teach your salespeople the skills and techniques they need to open, develop, and close deals. All of these lessons are directly linked to the Sales Simulation they must complete in each module. After absorbing key concepts in the Coaching Academy, your salespeople must complete a three-stage Sales Simulation based on real-life sales calls in a variety of industries. 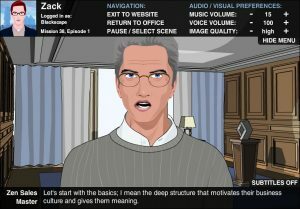 The consistent practice they get from these simulations enables them to apply what they learn in their own sales calls. After successfully completing the Sales Simulation in each module, your salespeople are able to review the key factors that led to success in those sales calls. This guided reflection is crucial when it comes to creating long-term mastery. Our certified coaching partners hold regular Video Conference Coaching Sessions to ensure that salespeople are getting personalized feedback, and that they are applying what they learn in their real-life sales calls. Our game-based learning system tracks your team’s progress and benchmarks your team’s performance. You’ll know exactly how your sales people are improving and their potential. Our proven Sales Assessment Suite identifies each team member’s abilities, knowledge and potential to execute. Once the assessments have been completed by your team, top performers are benchmarked to identify specific traits that leverage success for your organization. Based on our extensive research and development, we have distilled sales mastery into six core competencies which are tracked before, during, and after course completion. 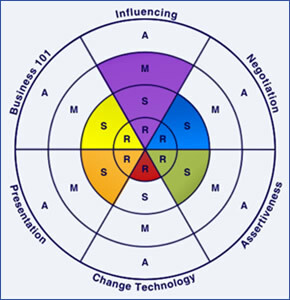 These competencies are Business 101, Influencing, Negotiation, Assertiveness, Change Technology, and Presentation. Measurability is one of the cornerstones of Momentium. Activity within each module is tracked and recorded: points achieved for good/better/best responses, bonus points awarded, number of attempts, speed of recall, and use of resources. This means that we can show you how each of your salespeople are progressing. We provide tools to the sales manager or sales coach that allow them to view their team’s training progress on a regular basis. 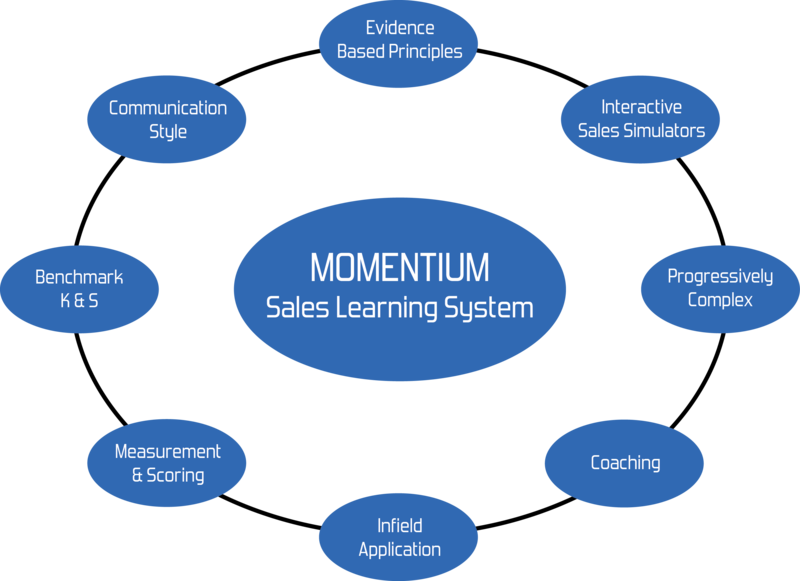 Specifically, Momentium pinpoints each salesperson’s knowledge and their ability to execute that knowledge. Like a handicap in golf, a gap represents an opportunity for learning, growth, and increased sales. Speak to one of our sales training professionals today for a free consultation. Our team will be happy to work with you to build a training program that will have a measurable and lasting impact on your team’s sales performance.